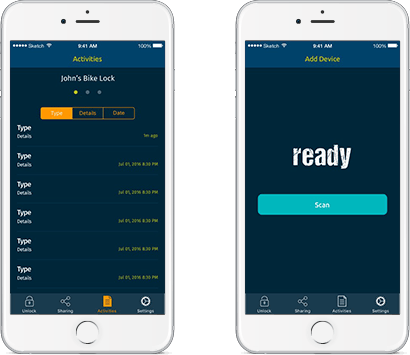 The client being manufacturer of the Bluetooth bike lock device required an application enabling the users to manage the device using iOS and Android phones. TOPS team of mobile app developers very well understood that this functionality of managing the bike locks with the help of Smart Phones was possible with help of BLE technology and so we successfully developed Bikelok application which lets the users explore the complete range of possibilities of Bluetooth low energy enabled Bike lock device. Bikelok Application allows the users to register the bike locks located nearby. The registered bike locks can be locked or unlocked automatically or with a simple press of a button on your smart phone. You can share and edit the access to the bikelok given to other users like your friend, colleague or sibling who needs to share your bike with you. Just add them by registering their email ids and they will be sent link to download the application. 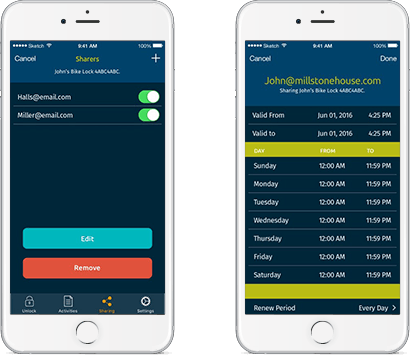 You can specify and renew the sharing access period for the users you have added and control whether to allow or deny the access with a single toggle key easily. You can turn it to passive mode when you don’t want to access the bike lock. The other users will also not be able to use the lock when it’s in passive mode. Keep active mode on if you & other users need to continue using the application. Multiple bike lock devices located within the range can be added. If you have purchased a new bike lock, search for it on Bikelok app and register it with unique name as soon as found. 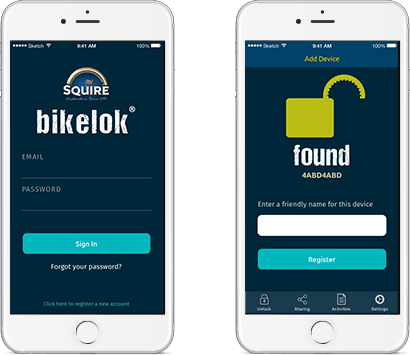 If you need to sell your bike lock, register the buyer as the user of the app and remove the device from your smart phone. The team of mobile developers at TOPS Infosolutions used C# language in Xamarin to develop Bikelok Application.